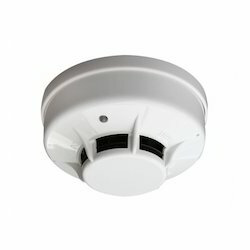 - It is installed with a smoke detector manual call point and an Electronic hooter. - It is placed in the stairway, lift and lobby of every floor. - The smoke detector call point and hooters are joined to the main control panel on the ground floor, which is under the vigilance of security people. 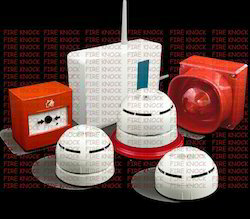 We are offering a premium quality range of Wireless Smoke Detectors to our highly valued clients. These are widely used in various sectors. Our products are highly admired for their quality and performance. These are attainable at leading market prices. These are largely used in various sectors. Our product are highly acknowledged for their quality and long life.